Due March 22, the anthology celebrates the thrash band’s 35th anniversary and spans their entire studio recording career – from their 1985 debut, "Killing Is My Business…And Business Is Good", to the 2016 Grammy Award-winning release, "Dystopia." Dave Mustaine co-formed Megadeth with bassist David Ellefson in Los Angeles in 1983, shortly after the guitarist’s dismissal from Metallica. "Thirty-five years ago, I chose the name Megadeth for my band and I see these songs as the most efficient weapons in the band's arsenal," says Mustaine. "'Warheads On Foreheads' is a US military term for targeting efficiency. It's all about using the right tool for the job and these tracks were created for maximum destruction (or stopping power, or something else!)." “Warheads On Foreheads” will be available in multiple versions, including 3CD , 4LP and digital formats, while a limited-edition, 4LP set pressed on silver colored vinyl will be available exclusively through the band's online store, with deluxe bundles to be announced. 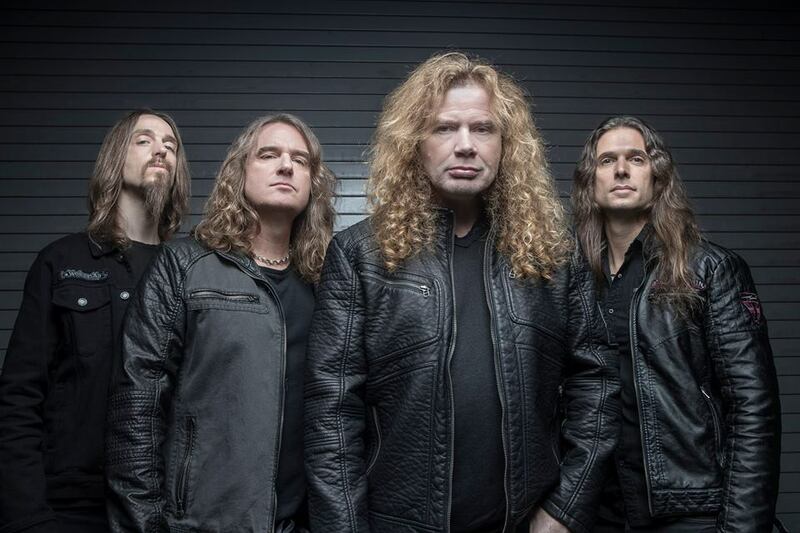 Megadeth are currently in the studio working on the follow-up to “Dystopia”, and will join Ozzy Osbourne on his farewell North American tour this summer.